Cre8tive Play: I Love Every Pizza You! It's Thursday - which means I have the honor of showcasing a card using stamps from The Project Bin. YAY! 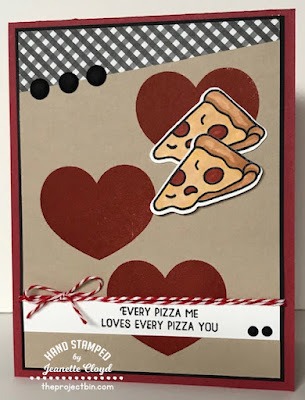 But this is an even more exciting Thursday because it's also the 7th of the month, which is the day that the Crafters of Faith group members posts the cards/projects they make with the current theme. YAY! Challenge: OK everyone I have the challenge for February. 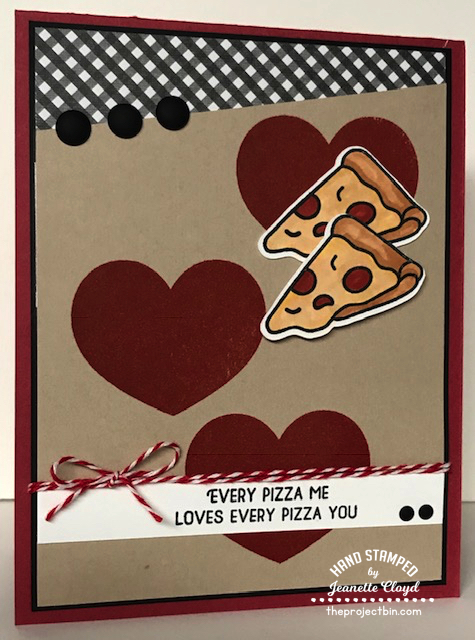 Since February is Valentine's Day, Please make a card about Love. Thanks for a great theme, Tracie! What a fun card with this fabulous set, Jeanette!! 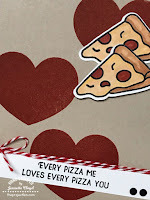 Love me some pizza!! Very fun card, I love those puns in the stamp set! 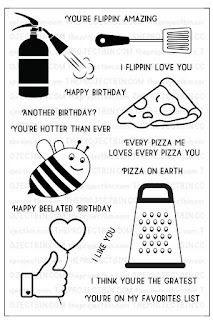 Love this fun card- and the puns in the entire set : ) Great card for the challenge! What a great card. So glad you we able to incorporate The Project Bin with my challenge.